It has been a couple of years since we’ve been on a long vacation. Our last memorable trip was in Belize with REI Adventures. We had such a great experience, we decided to sign up with REI Adventures again, this time to Patagonia! The trip included hiking ( no camping 🙂 ) in El Chaltén, Argentina and Torres del Paine National Park in Chile. The hikes brought us stunning views of glaciers and granite peaks overlooking mountain vistas. Getting to Patagonia wasn’t too easy. Our day long flight to Argentina included 2 layovers and an airport transfer. From southern California, we flew through Houston to Buenos Aires Ministro Pistarini International Airport (EZE), hired a driver to Aeroparque Jorge Newbery airport, and finally landed in El Calafate, Argentina. 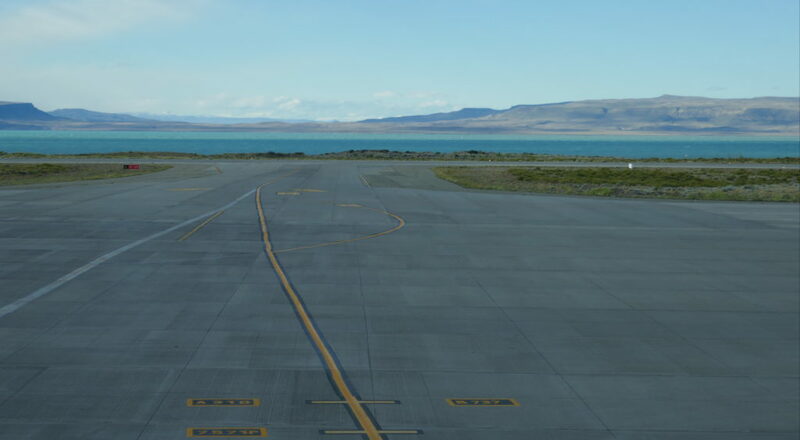 El Calafate’s airport is a small, modern (opened in 2000), and inviting airport.